Reaaaaallly doubting the 4chan one. There would be no reason at all to not show those models and voice lines if you found them. Then there’s the old leaked map that shows that the Grizzlies opening has been planned for quite some time. I think the best we can hope for regarding the Blackwater robbery would be dlc, or a short movie about it like the one we got from san andreas. What do you think of this information? Saw it floating around and I wonder if it has any legs. 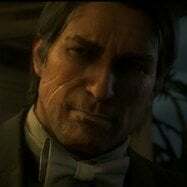 It certainly lines with with the whole idea that the New Austin we see is set in 1899 (considering the size of Thieves' Landing), along with journal entries and voiced reactions from Arthur. It's possible to hack PS4 and look through the files (like it was with Silent Hills Playble Teaser), but since no one show us a proof of having files and models of the game, i doubt about this info. More of that, i think RDR2 already has a great prologue with a good space for tutorial. Starting a game before all of this sh*t happened is a waste of time. Anyway, we should expect files and models in coming months. It’s gonna be exciting when we get to take a bit more in-depth look on what those cut five hours contained. It's possible to hack PS4 and look through the files (like it was with Silent Hills Playble Teaser), but since no one show us a proof of having files and models of the game, i doubt about this info. RDR2 requires PS4 6.00 firmware and it wasn't hacked yet (at least not at public), so it is impossible to access game files right now. There is also another short clip from the same trailer of Arthur, Dutch, Javier, Bill, Charles, John and Sadie riding past the small destroyed house in Scarlett Meadows. Kinda suspecting again that this is just something they put together for the trailer. 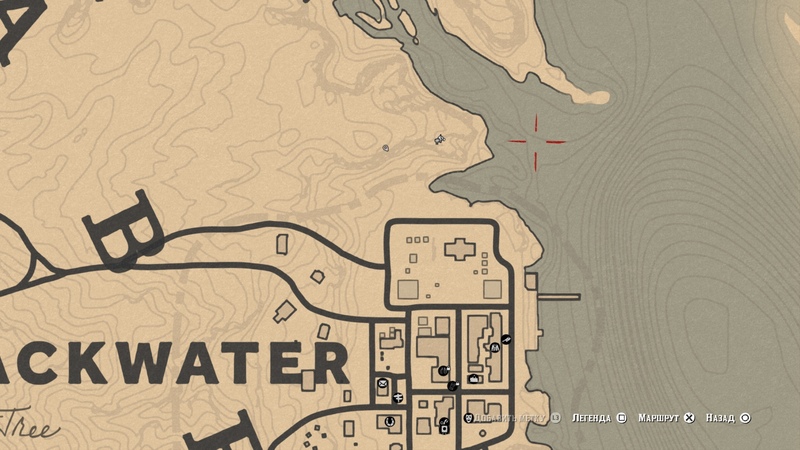 The most interesting find at this moment: In the mission "The First Shall be Last" we was a little bit closer to the Blackwater? Buildings location is different. And check out Xavier. we explored a lot of different avenues early in development, like more procedural approaches to things. Hey, it’d be great if this camp could totally grow and you could hire people from towns and come back and add to your camp. We explored, at one point, if you could take anybody fishing that you wanted at any time. We certainly went through an editing process in this game and cut a lot of missions, mostly close to the end. Ultimately we made the decisions we made after discussing them closely. I definitely wish things were a bit more procedural in RDR2, being able to bring gang companions along in free-roam would have been great- I guess I'll have to wait for the PC version for it to be modded back in. If a lot of them are cut towards the end, I wonder how much of those missions were completed before being cut? Were they voice-acted and programmed and just needed some polishing? Would have loved to see what some of them could have been. The whole recruiting people for your gang was in that 2016(17?) leak on Reddit. Blows me away how spot on that leak was about so many things. We had the outline of the game sitting there for years. And the ending spoiled for us, who woulda thunk? Makes me think that they had intents to be far more ambitious and procedural, but ended going for a more scripted approach when that didn't work out. It's sort of like how the camp system feels fleshed out, but constrained within the story that you'd never really use it to its full extent beyond two chapters. A bit of a shame, since I like procedural systems for their replayability, and PC modding could have fixed some of the issues. "You play a gang leader named Arthur. The biggest change made to the game is you have a posse. If I remember correctly, the story kind of starts when you find out someone in your outlaw gang is a pinkerton spy. The pinkertons end up having you on the run through most of the game. You acquire lots of members of your gang such as abigal, little jack, marsten, and others. The core mechanic of the game is having to maintain and continuously move your outlaw camp. When you go on a mission you will choose who to take with you, similar to mass effect or dragon age. The game spans five zones. A directive they keep getting is to make the environments more interactive like skyrim. Whatever that means. There is kind of a game plus like like the last one had. You end up at beechers hope and switch control to Jon marsten. The are then lots of quests etc dealing with building up your ranch. You literally will do x And Z to build a gazebo. I heard someone designed a mini game where you help a mare give birth that had people laughing. The last I heard, which was a few months ago, the game was kind of stuck in development hell of sorts. Then team kept remaking a vertical slice demo for the leaders of rockstar and they aren't impressed... They didn't find it different enough or innovative enough. Hopefully they got out of that rut. I've also heard that since gta5 morale at rockstar SD had been bad. Long timers are quitting. Lots of turnover. Lots of frustration. That's all I can remember off hand." Also definitely think that the game did suffer from development troubles a lot, which is why they ended up going the more traditional route of heavily scripted events and missions. 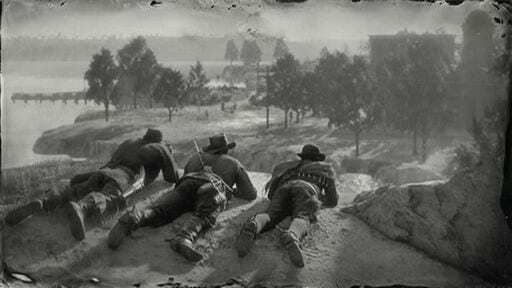 When you first meet Cleet and Joe (Micah’s buddies) Arthur says to Dutch: «Why are these two still here?» as if he’s seen them before. However they are only in that one train robbery mission. That too, haha. For the longest time though people refused to believe that, even just dismissing the idea that we’d get another similar ending to the first. Regardless I think they did a good job with it, and it’s still a bit different since you see it coming. So I guess we could free roam with Gang members at some point. A Shame it was cut. So can anyone explain this scene from the 2nd trailer to me? Cut content! At some point we surely were to go to New Austin with the gang. 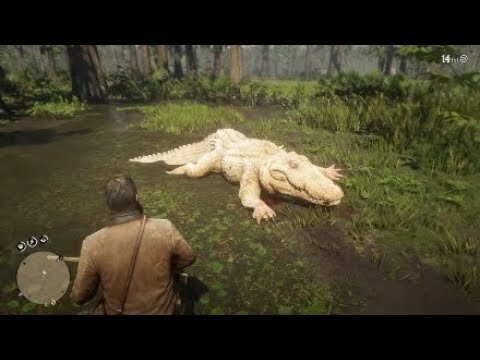 I hope they did not replace it for Guarma! There are many scenes in which Arthur and/or the gang was seen in West Elizabeth, and in some instances, Blackwater. I guess the game was initially planned to start before the ferry robbery, but then plans changed and now it's starting after the gang escaped to The Grizzlies. This is the only sensible explanation, and no, I don't think Rockstar was doing false marketing for a reason or another. Yeah, that could actually make sense ... I mean most of us expected the game to start around the Ferry robbery in Blackwater. Strange that they cut this whole chapter? I'm thinking that part's gonna be DLC. Pretty sure it was always going to start up in The Grizzlies, since it says "The Grizzlies (Intro)" on the leaked map from 2016.
in 2 years, plans could've changed a lot. They already said that some story content was removed and moved around, and that one was said to be 5 hours worth of content, right? Regardless, all these scenes with the gang in West Elizabeth were something, whether they were at the start or mid of the story. 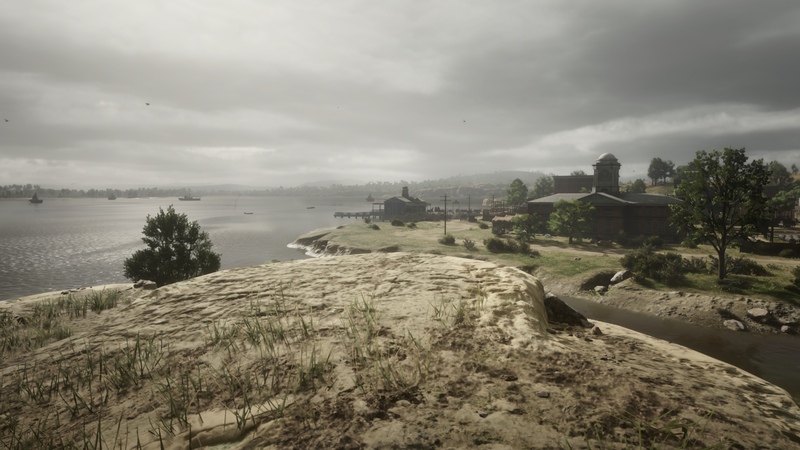 Also seeing Arthur in WE during the gameplay video, plans or was it to purely show of those iconic landmarks to fans? Not only that but Arthur being in NA is soo fitting i hope we get some non-canon dlc or something! 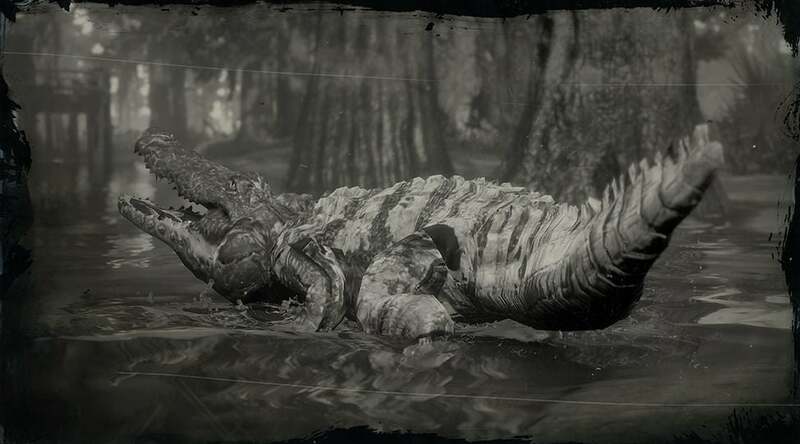 The map leak as far back as 2016 showed the Grizzlies being the prologue. You really think they changed it to being in Blackwater, showcased those trailers, then changed it back to their original plans? A lot of the scenes in reference are still in the game, just different locations. They did they same thing with GTA V - purposely ediingn cutscene actors and locations to not give everything away. 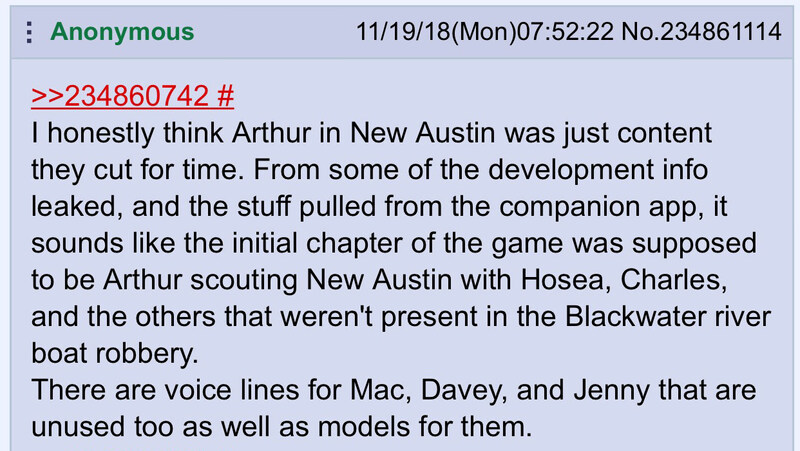 Of course they showcased Arthur in New Austin and everywhere else, we know it was part of the map, why give people enough to speculate that things would turn out the way they did by clueing us in that Arthur never makes it there? I don't think we'll ever know- sometimes they might have changed up plans, only to revert to earlier ones down the road- the Gamesbeat article mentions that they ended up cutting some missions late in the development period to improve the flow of the game. I think the trailers were intentionally misleading, but Arthur was probably intended to be able to access New Austin at some point. This I can see considering his lines for New Austin and cutscene for the dino bone mission. Even if they cut content for Arthur in NA due to technical reasons, why the sniping god nonsense? In which way Arthur roaming a (mostly empty) NA harms the gameplay? Why the Blackwater clusterf*ck has direct consequences in NA but not in NH or Lemoyne? Less obvious that New Austin is stuck in 1899 while the rest of John's map is in 1907 if you cant see it through the course of the game. That's my idea. Honestly if it didn't work they should have kept it completely unplayable except for the Pikes Basin mission, but they put collectibles down there, so maybe didn't want to throw the baby out with the bathwater. Can't say for sure how legitimate this is, but I stumbled upon this on reddit. Apparently this guys game glitched and gave him dialogue for adult Jack. If it is indeed not bs, what more could it be? Content from quite an early beta stage? DLC?